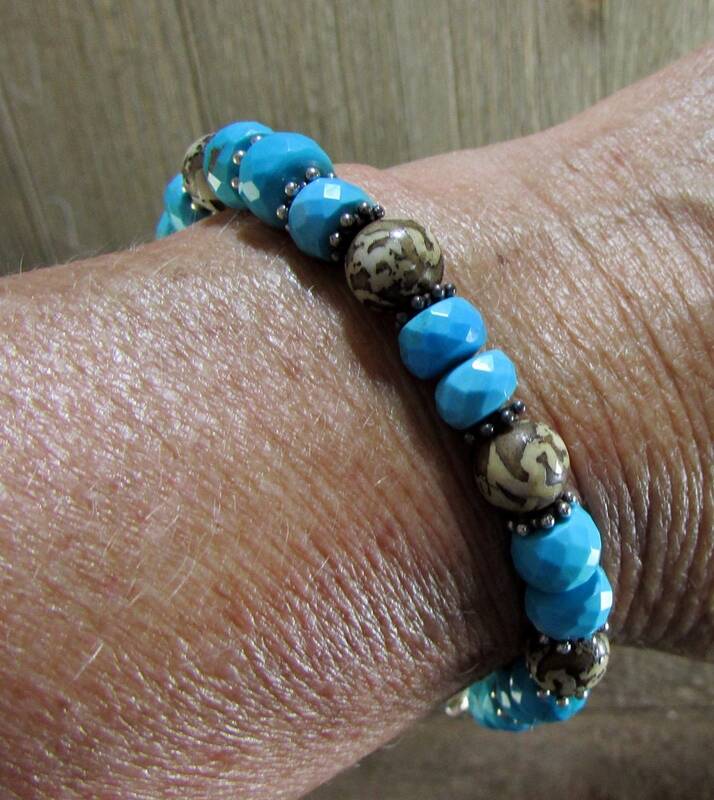 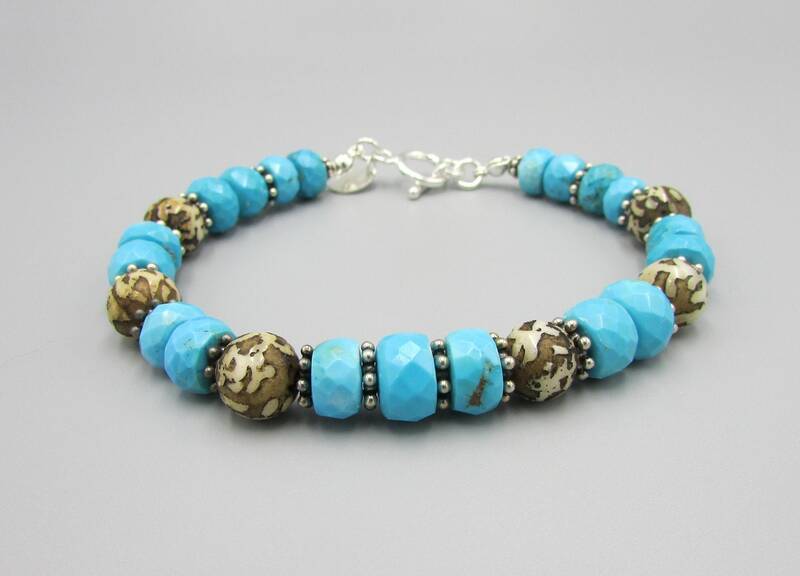 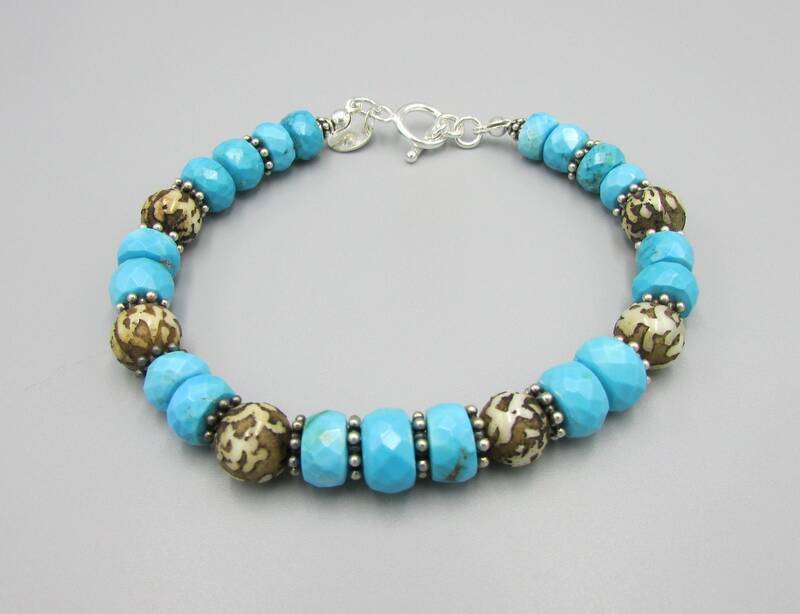 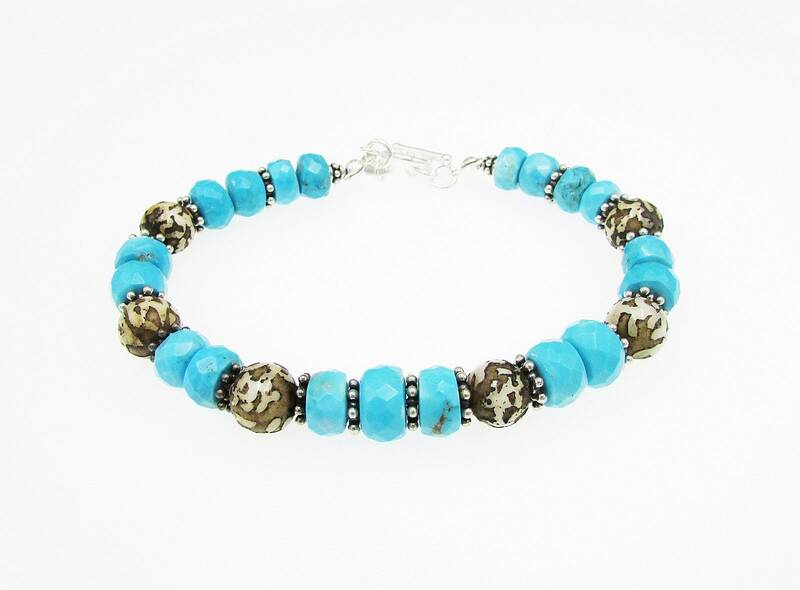 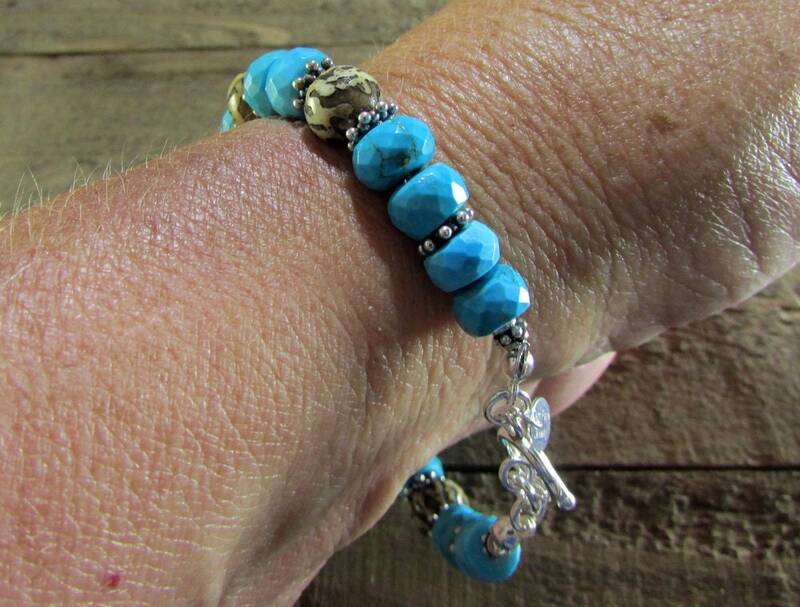 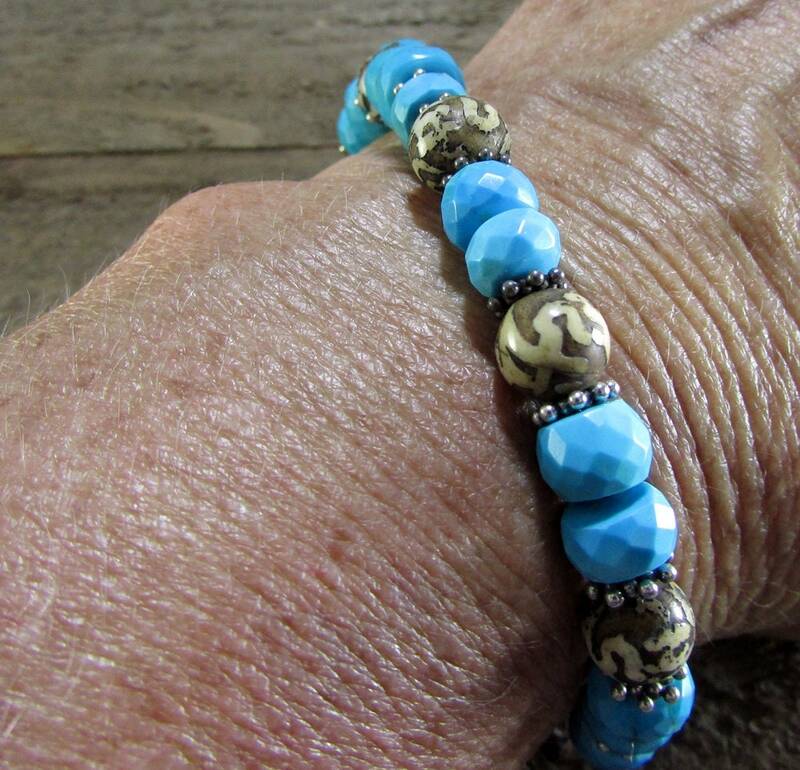 This lovely genuine turquoise bracelet is made with faceted turquoise rondelles in sizes 8mm to 9mm in size and Nepal carved shell beads size 8mm round with Bali style sterling spacers. 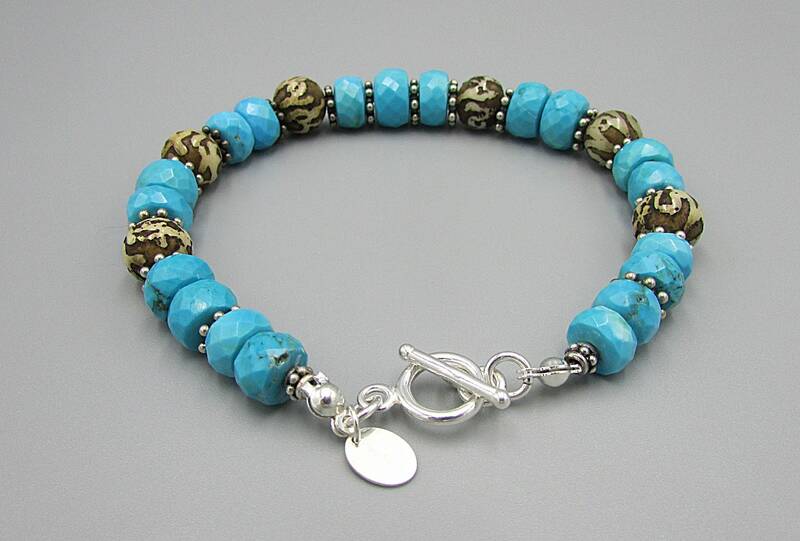 I finished with a sterling silver toggle clasp that is 9mm in size. 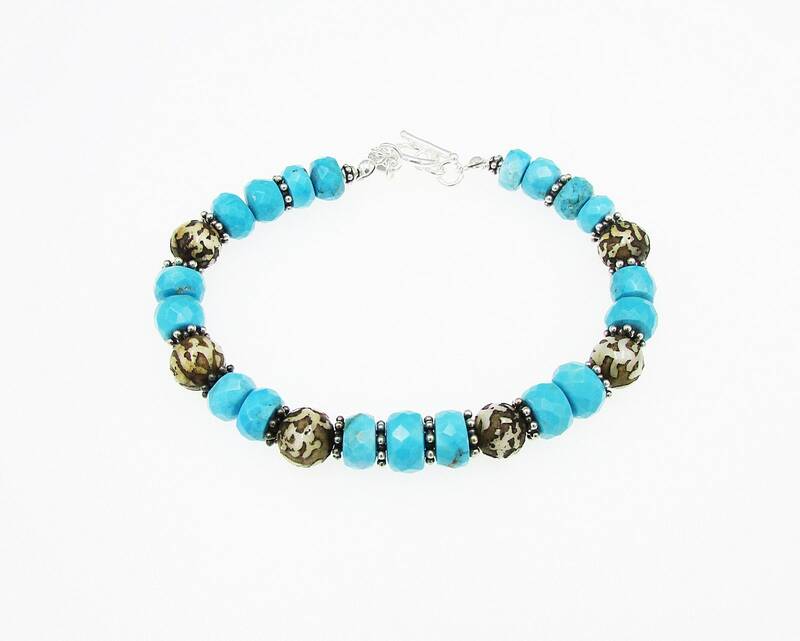 The bracelet is 7-1/2 inches and will fit wrists from 6-1/2 to 7-1/2 inches.